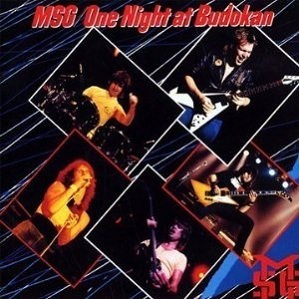 One Night At Budokan is a live album by the Michael Schenker Group recorded in August 1981 in Japan. Michael Schenker made his name with The Scorpions before moving to UFO and appears on their great live album Strangers In The Night. I can understand why people want to collect everything recorded by a guitarist like Michael Schenker. I could do with taking about ten minutes off the drum solo but that’s a regular complaint. Here is the Michael Schenker Group performing Armed & Ready live in 19811. I haven’t seen this in any best live album lists but it is getting plenty of support in my best live albums polls. Love it? Hate it? Tell the world. Is this the best live album featuring Michael Schenker? Please vote in my poll to find the best hard rock and heavy metal albums recorded live. This entry was posted in 1980s Live Albums, Heavy Metal Live Albums and tagged 1980s hard rock, 1981 live albums, Budokan, heavy metal 1981, Michael Schenker Live Albums by Paul Simister. Bookmark the permalink.